Lock in a great price for FERGUS Style Soller Beach – rated 8.5 by recent guests! Comfy good quality beds & pillows; super helpful & friendly staff; food definitely much better than it sounds on the a la carte menu; gluten free no problem including warm bread; ideal location. Perfectly located in the Port. Lovely stay for a person traveling solo. A/C worked great. Breakfast buffet was huge with good variety of everything. Reception was very helpful and when our air conditioning was not working and our friends television was not working he got onto it immediately. Bar staff were good also. Beachfront location, beautiful room, rainfall shower, beautifully scented toiletries, breakfast to die for, international TV programmes and a great balcony. Great location and nice, clean and simple rooms. Breakfast was excellent! Staff were friendly and helpful, especially Edu on the front desk. 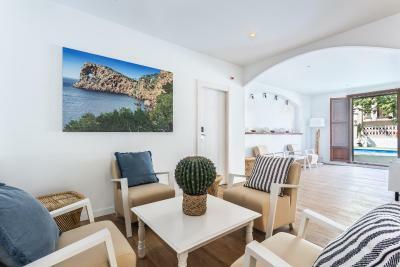 FERGUS Style Soller Beach This rating is a reflection of how the property compares to the industry standard when it comes to price, facilities and services available. It's based on a self-evaluation by the property. Use this rating to help choose your stay! 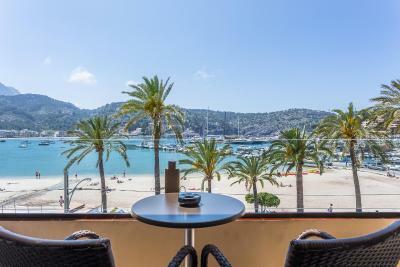 Set in Port de Soller Harbor and offering fantastic sea views, FERGUS Style Soller Beach is located 2.8 mi from Soller and 35 minutes’ drive from Palma de Mallorca and the International Airport. 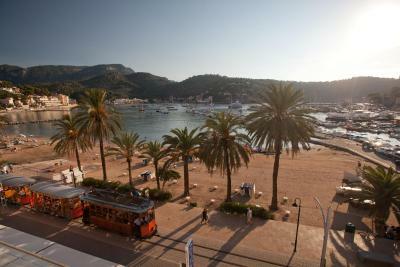 FERGUS Style Soller Beach offers air-conditioned double rooms and 1-bedroom suites with balconies. 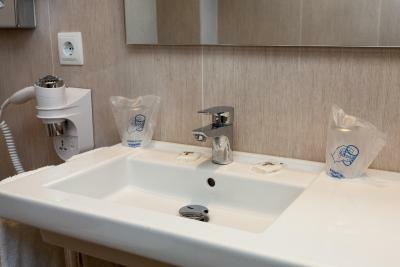 Each room features satellite TV and a private bathroom. Free WiFi is available throughout. The complex has a restaurant, which serves a wide selection of Mediterranean and international dishes. Other facilities include an outdoor pool, a large garden area and a communal lounge with TV. Staff at the 24-hour front desk can provide tourist information about the area. 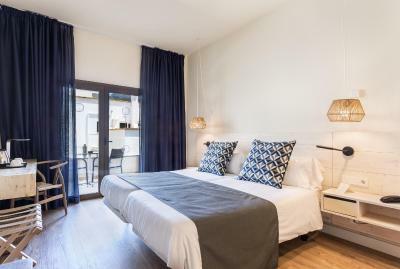 Opposite FERGUS Style Soller Beach, guests will also find a tram stop that connects the harbor with the town of Soller. When would you like to stay at FERGUS Style Soller Beach? This air-conditioned room has a balcony. It also comes with satellite TV and a private bathroom. Featuring a balcony with a hot tub, this air-conditioned room includes a satellite TV and a private bathroom. This air-conditioned 1 bedroom suite has a balcony. It also comes with satellite TV, sofa and a private bathroom. 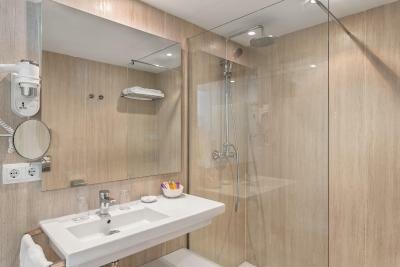 Featuring a balcony, this air-conditioned room includes a satellite TV and a private bathroom. 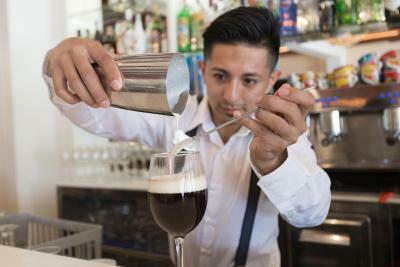 House Rules FERGUS Style Soller Beach takes special requests – add in the next step! FERGUS Style Soller Beach accepts these cards and reserves the right to temporarily hold an amount prior to arrival. Not enough noise insulation between room And bathroom and other rooms. Although not terrible. There was a kettle in the room which is great but no teabags/coffee bags. Those was available at breakfast but that might be a problem if someone wasn’t a cup of tea after checking in. I thought that no tea bags was a bit odd but didn’t change how awesome the place was in general. Very friendly staff, great location, light and airy, nice rooms. Our double room was “upgraded” to an apartment with kitchenette. Whilst the bedroom and bathroom had been renovated the kitchen was very dated and contained very old pine furniture. When I asked to return to the normal double room I had booked I was told there were none available. I was offered a slightly nicer apartment but again this extra space was not up to the standard of the rest of the hotel. The room was also in a building across the road, seperate to the main hotel. The general facilities and breakfast were very good. The hotel had been recently renovated for the most part.